With Ann Rickard's passing an era has ended on the Sunshine Coast. For more than 25 years Ann's hysterical columns, witty anecdotes, personable profiles and views on life, graced the pages of the Sunshine Coast Daily, Noosa News and of late Seniors News (Sunshine Coast and Brisbane) along with various other publications throughout the APN and News Ltd group. She was the lead reporter for Seniors News Sunshine Coast and Seniors News Brisbane and was one of the masthead's dedicated travel writers. The bigger world knew Ann as an author of six books and a travel writer recognised with prestigious awards. In 2016, she was honoured as APN's feature writer of the year. Besides that, Ann and her husband Geoff ran yearly tours to France. Ann was formidable, complex, loving and a ridiculously talented person. I know, because I have worked side by side with Ann for more than 25 years. On a daily basis, I witnessed her tremendous work ethic, her kindness, her brashness and more than anything her brilliant, upbeat, offbeat, hilarious take on life. The serious side of Ann came through when she talked about the great love of her life, her husband Geoff, equally her three children Steven, Jessica, Dallas, their partners and the over the last decade the birth of her much-loved grandchildren. Serious too, was her love for the Sunshine Coast, in particular her Noosa home, but as a weekly columnist and writer for the Sunshine Coast Daily, Ann connected with people across the whole Coast and hinterland. Her writing career began in the '90s when she began working in the Daily's newsroom. Ann was mentored by former Sunshine Coast Daily Editor-in-Chief Peter Owen, encouraged by then Sunday Editor Bill Hoffman and propelled by her own drive to write in her own way. Ann brought a whole a new dimension of colour to the newsroom. Mr Owen, who hired Ann as a mature-aged rookie nearly 25 years ago, said it was her enthusiasm and determination to succeed in journalism that first impressed him. But it didn't take long for him to realise he had found a rare jewel in Ann Rickard. "She had the ability to not only inform, but to genuinely entertain her readers," he said. "Her strength was feature writing - reviews, critiques, travel stories and, particularly, the wonderful weekly column she wrote for all those years. "Ann had the courage to write about herself and her family, to share her views on the world, and in so doing she became a part of the lives of all her readers. She was funny, irreverent and always entertaining. "Ann loved everything about Noosa, but she wrote about Noosa life in a self-deprecating manner that suggested she was an observer, almost an intruder, rather than a part of the society of that remarkable town. "Over time Ann Rickard became as much a personality and celebrity as the famous people she wrote about, and a part of the very fabric of Noosa. "She reflected such vivacity and joy of living that it is difficult to comprehend she is gone. Ann will be missed like few others." Since the '90s, Ann celebrated with the best of them in Hastings Street and beyond and she brought the Coast's unique world of personalities, business and events into the lives of every Sunshine Coast Daily and Noosa News reader. In the days of snail mail, reader's letters were piled high on Ann's desk and she loved receiving them, often sharing the contents with me. Ann's readers seemed to connect with her simple, joyful and casual style. But the truth is, it is not easy to write like that, indeed it takes insight and natural flair and that's what Ann had - in bucket loads. 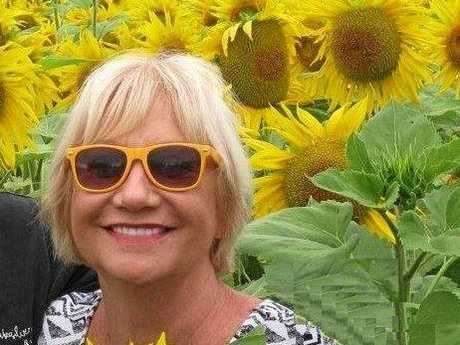 Throughout the years, Ann edited the lifestyle sections of several Sunshine Coast newspaper publications, and with her own culinary skills, preference for fine dining and good champagne, she was the perfect restaurant reviewer - and perfect for an area with much of its reputation built upon a unique dining scene. Ann's appreciation of the good life was balanced by her appreciation of the coast's natural beauty - I recall her beautiful descriptions of the blossoming red Poinciana trees in Tewantin, the everglades and Noosa River's marvellous mirroring qualities that made you feel like you were travelling through a liquid sky. Yet, it seemed to me that a family boating trip up the river meant as much to Ann as touring the soaring Alps of Switzerland or visiting the Louvre in Paris. Ann loved art too, she attended many openings to support local artists and when something really took her fancy she purchased it. Ann always made herself available to speak at art openings or any service club that asked her. Indeed, she was a polished public speaker. Her book launches at various places, including berardos Noosa restaurant, were a treat, we were all held captive when Ann, cool as a cucumber, with mike in hand, cruised the stage and entertained with stories of her great adventures. But above all else Ann was a wordsmith, she could twist, turn and paint words into vivid, clever and very, very funny descriptions. But, it was her propensity for honesty, her ability to make fun of herself that let us find a little bit of ourselves in her. Ann wrote about being wife, a parent a grandparent, about sagging bodies, about Botox, about wearing a two-piece bathing suit at 70, about the importance of little black dresses, good manners and bad taste - she shared all of that and so much with much grace and big smile. Noosa News journalist Peter Gardiner remembers meeting Ann in the early '90s when they were working at the Noosa Citizen newspaper. "There was a grumpy boss at the time who tried to ban laughter in the office, largely because of Ann's personality," Peter said. "Her laughter and love of life used to bounce off the walls. "Later the editorial team of the Noosa News, editor Gail Forrer, Ann and I would share quite a few misadventures together, not the least the ill-fated camel races on Melbourne Club Day out in a rain- soaked and flooded Doonan paddock, complete with over-flowing toilets, watery wine, cranky camels and mud-splattered frocks. "Ann always made me and many others laugh with her amazing take on life in Noosa and beyond and there is no greater gift. She also took one of my favourites photos of my young son Ben and I in the Noosa News office which I still cherish. "Ann was a Noosa one-off and sadly we won't see her like again." But the last words must indeed come from my friend Ann. In one of those quirky turns of our fate, last Friday when, long time Sunshine Coast Daily editorial assistant Roz Hoolihan, went to look through Ann's columns the first one that she found was this: Dated August 17, 2015 Ann wrote about death - her own specifically. "My funeral music of choice is Elvis (Are You Lonesome Tonight), Frank Sinatra (My Way) and Shirley Bassey (Big Spender)," she wrote. "These songs hold a special place in my heart as I have performed them often at two in the morning on the top of my staircase after a night of champagne-induced rollicking (My friends have appreciated this muchly)." And in classic Ann style: "I have told my husband to harvest as many organs from me as anyone deems worthwhile, apart from the liver. I wouldn't wish that on anyone."